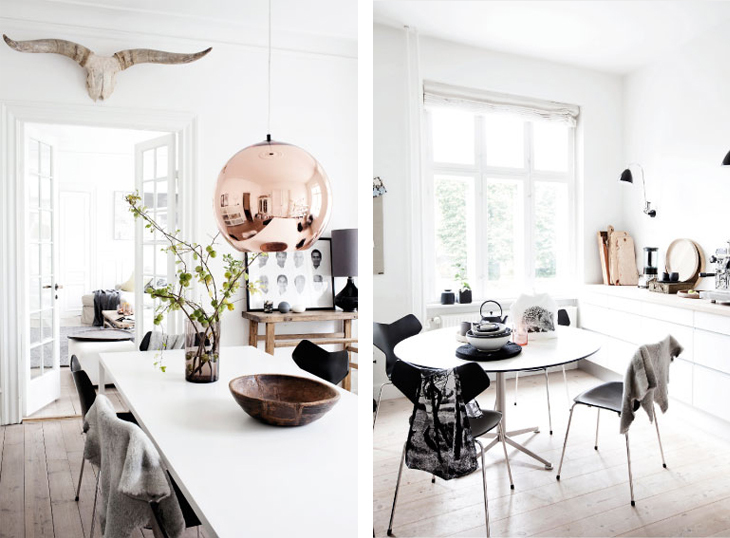 Home of Hanne Berzant is a great showcase of the classic Nordic interior styling. 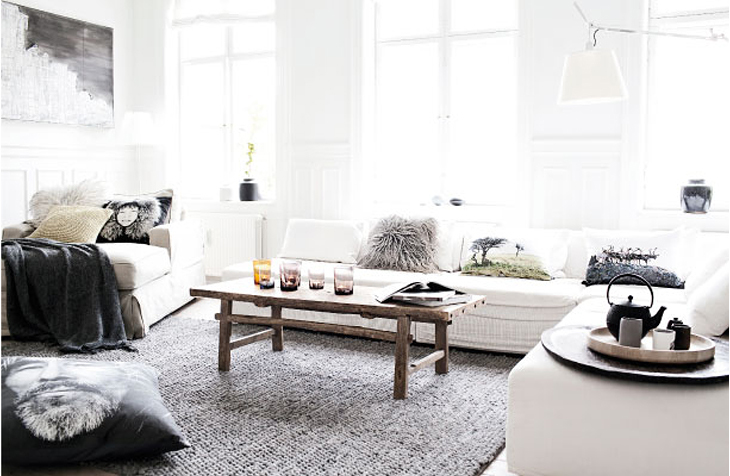 White, wood, mid century furniture, rustic elements, all combined with a great feeling. 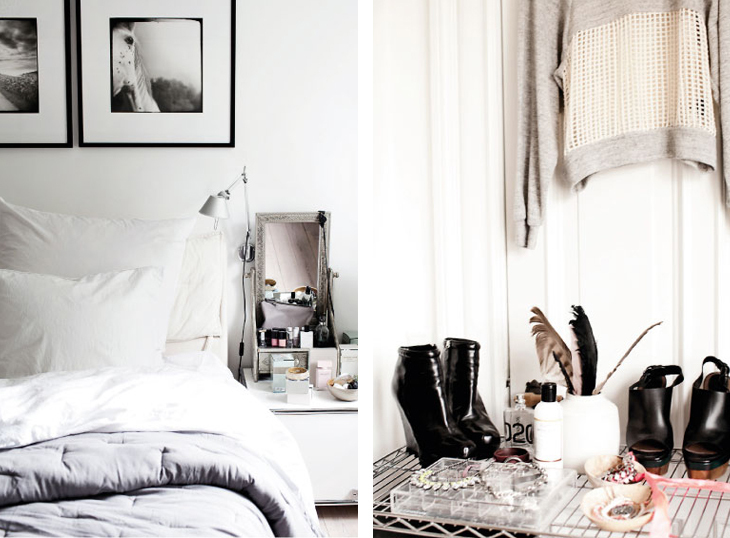 I really love the styling, atmosphere and the brightness of this place. 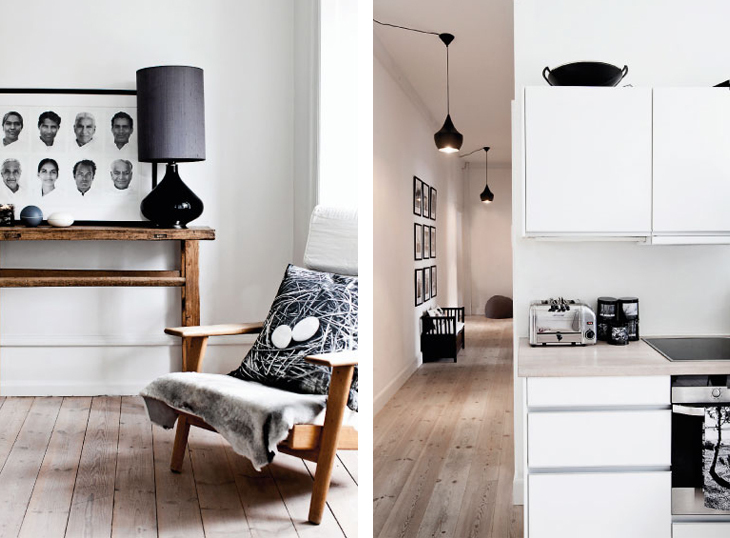 I really like the black and white interior!